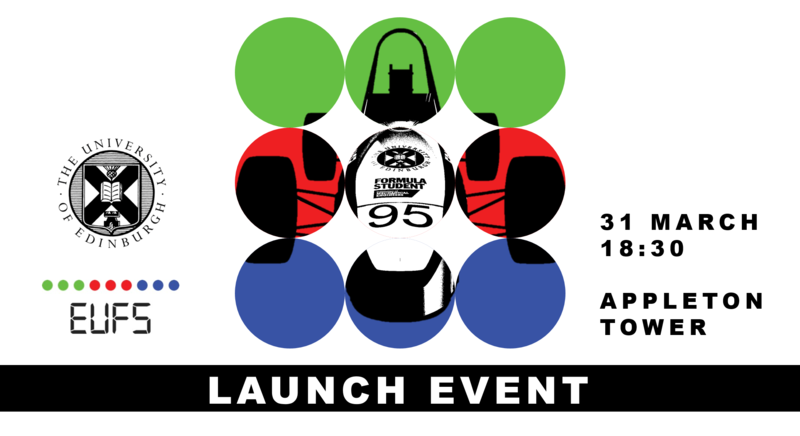 Formula Student invites you to the EUFS car unveiling launch event on 31 March 2017. The student society has been tirelessly working on its brand-new car design this academic year, and is proud to announce that the build will soon be finished. To celebrate this Formula Student is welcoming everyone, regardless of their discipline of interest or academic status, to join them for the unveiling event. The event will entail a short lecture-style session, where they will present the Formula Student competition, team structure and aims, and the design process in brief. Directly after this, you are invited to join a Q&A session and the actual car unveiling in the Appleton Tower Concourse. You will be able to have a look at the car in person and refreshments will be served during this part of the event.